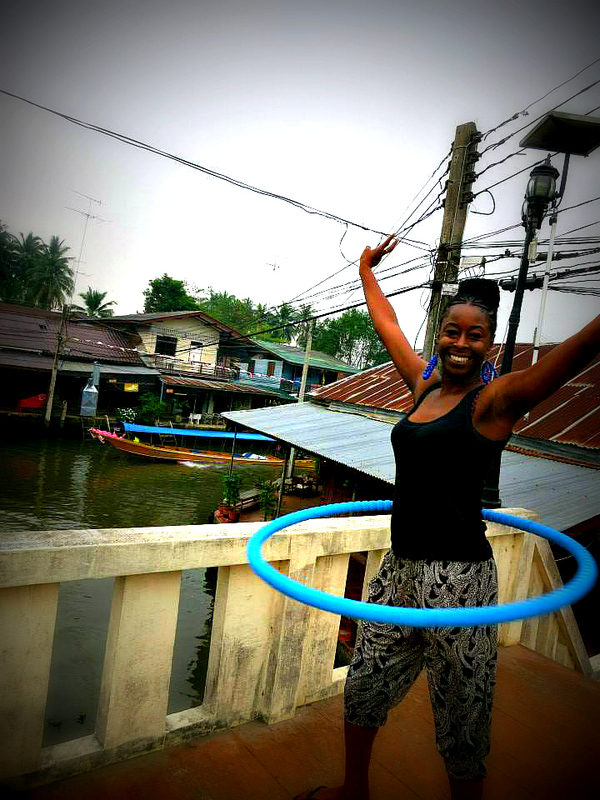 There was a time when I went on a week long trip around Thailand with little else but my hula hoop. People stared. It was bizarre I suppose. 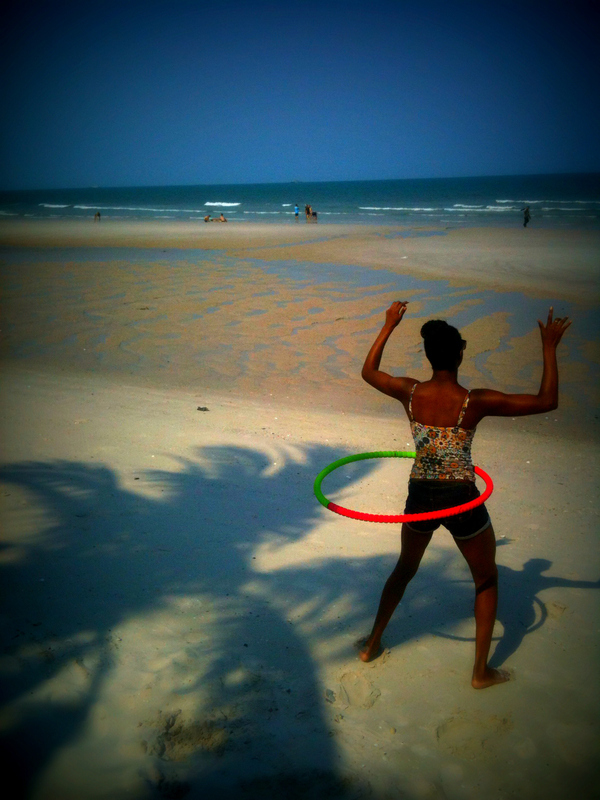 A girlfriend and I just turned up at places, pulled out our hoops and started hooping for no reason whatsoever. This is my favourite floating market in Thailand. It has a local feel. You don’t get on a boat here, the boats come to you. We took a van from outside Victory Monument Skytrain station in Bangkok. It cost 80 Baht (about 2 euros). You can also take a bus from the Southern Bus Terminal (Sai Tai Mai) or go by taxi. Fri, Sat and Sun, from 2pm to 8pm. I would stay for a couple of days. We loved At Casa Guesthouse because it was right on the river and had a lovely terrace where we relaxed with drinks and watched the boats go by. Amphawa is famous for its grilled seafood and boat noodles, which is a meaty noodle soup. Shopping of course! Also, if you arrive early in the morning you’ll be able to catch the massage boat. It is the perfect way to cool down on a hot day and one of the most beautiful places you can go on a day trip outside of Bangkok. From Bangkok take a bus to Kanchanaburi from the Southern Bus Terminal (Sai Tai Mai). They run from 5am to 10.30pm and cost about 80 to 100 baht. Best to get there before 8pm to make sure you get a seat. There are also vans for 80 baht from outside Victory Monument skytrain. In hot season between March and May because Thailand is super hot (40 degrees some days) and the waters at the waterfall are nice and cool. Also get there as early as you can because from 12pm onwards it gets super crowded. I loved staying in a Thai National Park bungalow. They are not glamorous or anything but what makes them special is they are 500 meters from the falls. This means you can wake up early and get there before anyone else. There are some shops selling grilled chicken and fruit smoothies. Booze is banned but some outlets will sell you a beer in a coffee cup! Climb the waterfall to the very top. It’s well worth going all the way up as the falls consit of seven different pools and you will come across less and less people the higher you go. You can slide down rocks or laze around in an oversized rubber ring. The fish at the waterfalls love nibbling on feet so have yourself a free and natural fish pedicure. It’s painless, although a bit daunting at first. This beach getaway near the capital is cool for partying, meeting expats and pampering yourself. Trains run from Bangkok’s Hua Lampong Station from 8.30am to 6pm on weekdays and from 8.30am to 12pm on weekends and public holidays. Buses from the Southern Bus Terminal (Sai Tai Mai) run every 30 minutes from 3am to 9pm. Anytime really. Avoid rainy season, which really kicks in from July and goes on until the end of October in central Thailand. By the beach at Putahracsa boutique hotel and beach club. They have 2for1 happy hour cocktails, a spa and gorgeous views. Hua Hin is an expat haven so if you’ve been craving western food, this is the place to get it. Wander along the beach in search of beachclubs and beach restaurants because Hua Hin has loads! Go shopping at Cicada Market, visit Santorini Greek-style themed waterpark or Vana Nava Jungle-themed waterpark, play a round of golf at Banyan Golf Club or go to a spa. 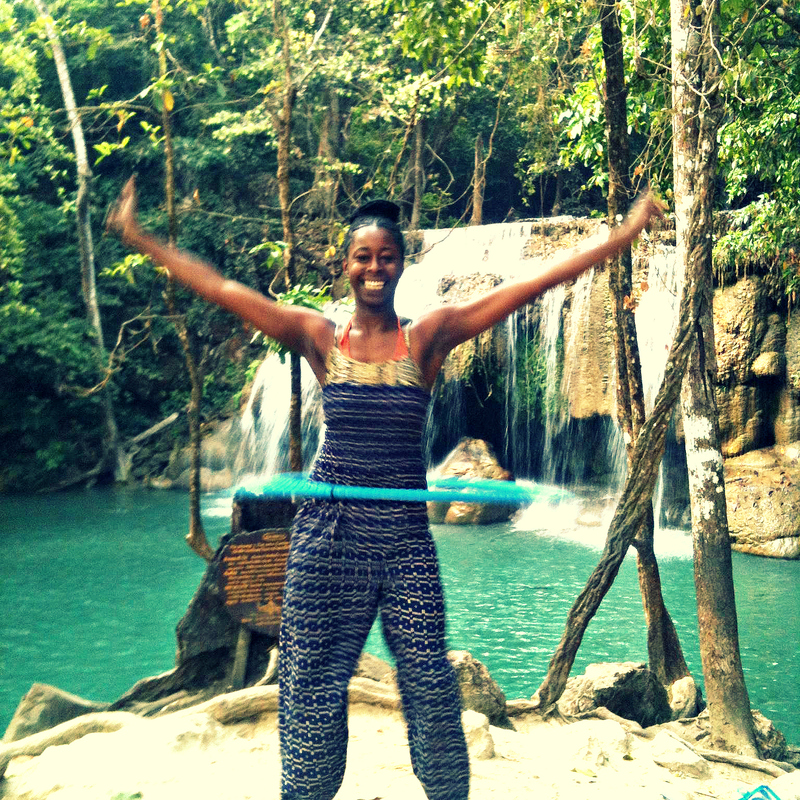 Posted in Thailand, TravelTagged amphawa, Bangkok getaway, day trip, erawan waterfall, floating market, hua hin, hula hoopingBookmark the permalink.